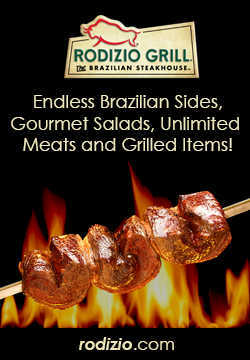 Rodizio Grill is a Brazilian Steakhouse "Churrascaria". 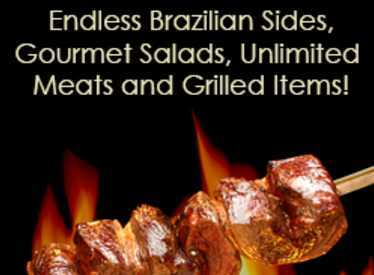 The authentic Brazilian dining experience features a rotation of over a dozen rotisserie grilled meats traditionally prepared and flavorfully seasoned. 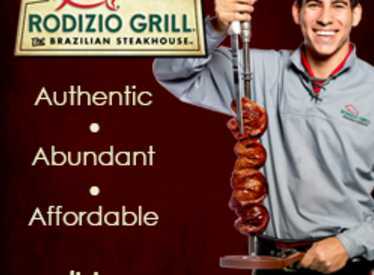 These meats are carried from the grill and served to the table on three foot long skewers by meat servers dressed as Brazilian Gauchos. 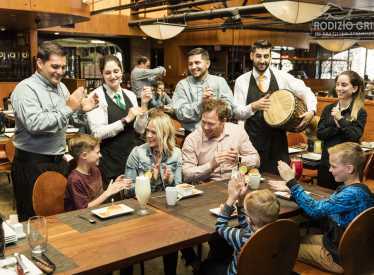 The restaurant also features unlimited appetizers that are delivered to the table at seating and an expansive salad area. 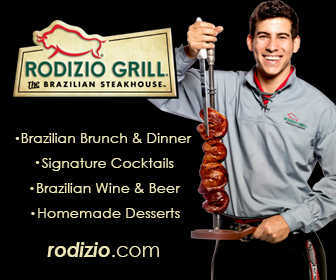 Rodizio Grill was the first Brazilian Steakhouse in America, established in 1995 by Sao Paulo native Ivan Utrera. 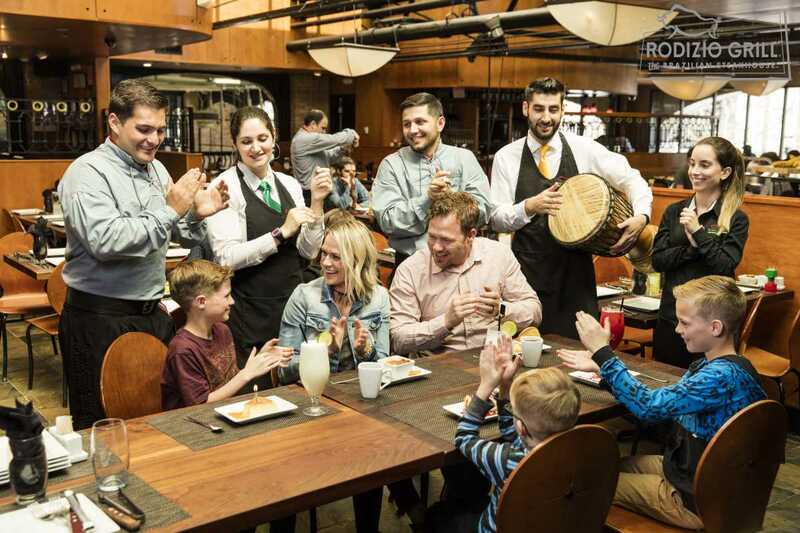 His dream of bringing Brazilian dining culture to Americans is now being realized in our restaurants across the United States. 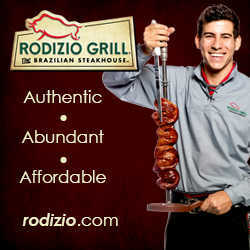 The experience is designed to be fun and authentic. 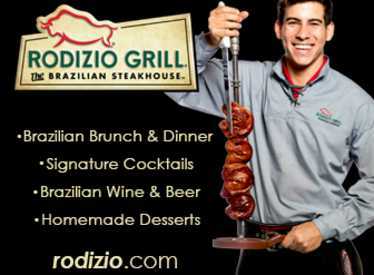 Guests may choose from the "Full Rodizio" which includes the sides, gourmet salad area and a bountiful rotation of grilled meats, or the "salad only" option and enjoy unlimited helpings of our freshly made salads and sides. Amazing homemade desserts are offered a la carte. 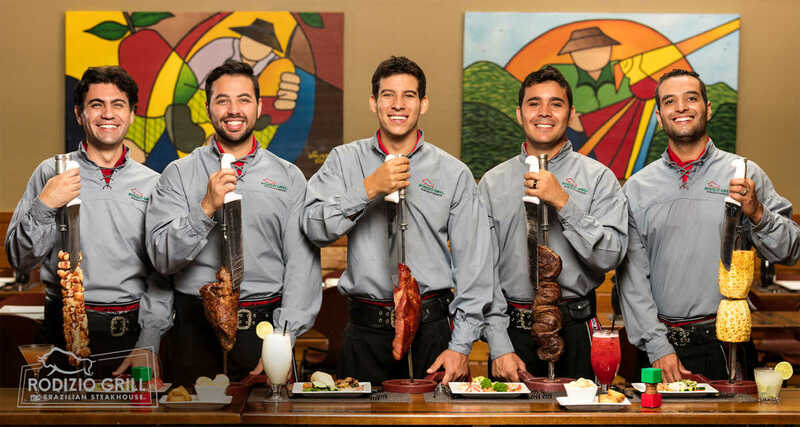 The concept also features a variety of authentic cocktail and non-alcoholic specialty beverages, tropical juices, and Brazil's national drink, the Caipirinha.